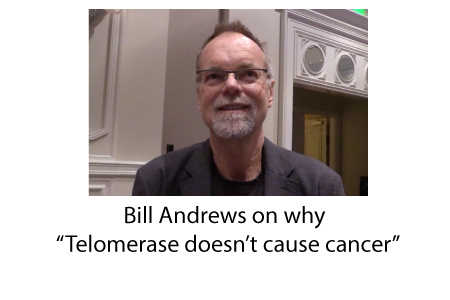 At the 2016 Age Medicine Management Group conference, I sat down with noted telomere scientist, Dr. Bill Andrews, the CEO of Sierra Sciences. He explains how the misconception of telomerase causing cancer got started and why it actually is the opposite. It is always eye-opening to spend some time with Bill, who has the kind of breadth and depth of knowledge that you rarely encounter in one person.